Expecting your first baby? Waiting with bated breath to a adopt a new bundle of joy? Or maybe you have a (relatively) new little one at home? Ahava Family is here to help you figure out this whole parenting thing. Because babies don’t come with instruction manuals. You’ll also meet other Jewish new parents and get some free swag too! Ahava Family organizes a range of classes on infant and toddler care, infant & toddler CPR, and beginning solid foods. 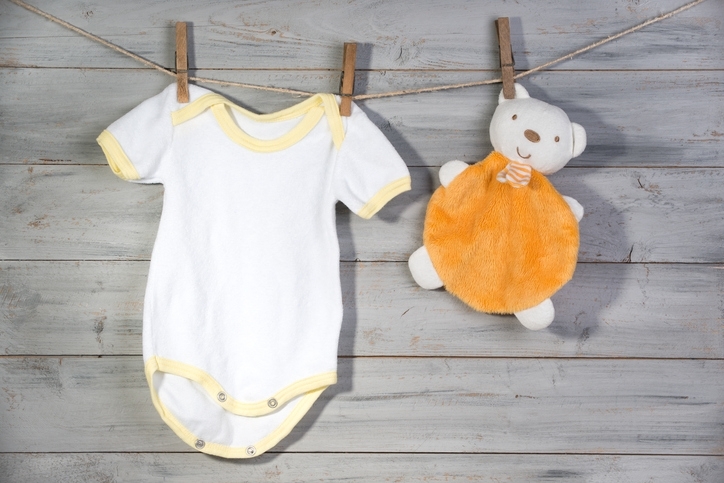 There’s even a refresher course for grandparents-to-be! There are also Tot Shabbats and other programs in J Town and Babies Books, and Bagels gatherings on Sunday mornings for music, stories, schmoozing, and crafts – all with a Jewish holiday theme. For more information call Brenda Footer at 410-735-5013 or email bfooter@cjebaltimore.org. Additional classes including prenatal yoga, infant massage, Happiest Baby on the Block, and Baby & Me classes can be found at the Park Heights, Owings Mills, and Downtown Baltimore JCC’s. 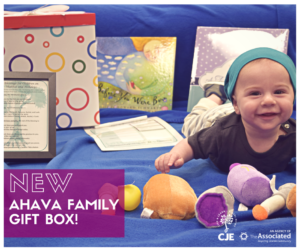 Ahava Family wants to welcome your new addition with a gift box full of swag including a Jewish baby journal, Jewish board book, and a plush toy Shabbat set. Click here to find out how to get your hands on some swag, or to refer a friend. Baltimore families with children ages 6 months through 8 years can get free, age-appropriate Jewish-themed books and music in the mail every month with PJ Library. Sign up today!. New to the Baltimore area and still trying to get the lay of the land? Shalom Baltimore, a project of the Baltimore JCC and The Associated: Jewish Community Federation of Baltimore, is here to welcome you to the Baltimore Jewish community. Shalom Baltimore volunteers are ready, willing, and excited to meet with you and connect you to community resources and organizations. Oh, and did we mention the swag? At your welcome meeting, you will also receive a bag with all sorts of goodies including coupons for the JCC, a challah (mmmm…..challah), a subscription to the Baltimore Jewish Times, and a membership to the Jewish Museum of Maryland. Sign up today! Want to meet other Jewish parents in your neighborhood? Get the inside scoop on the best Tot Shabbats in town or find out. The Macks Center for Jewish Education’s Parent Connectors can help you with all that and more. Whether by phone, email, or in-person over coffee, they are ready, willing, and excited to help connect you to all sorts of new people, places, and things to do in the Baltimore area. In addition, they plan fun events designed to get you out of your house and connect with other parents and families, such as pumpkin picking, family havdalah programs, scotch tastings, yoga, and more. Learn more today!